One of my sweet little nephews was visiting us last weekend. Such a charming little boy! What would life be without family and friends. Dear people whom to share the joy with, and get through harder times together. Great photos! I love them all! Thank you MM, you too! 🙂 Glad to hear you enjoy spring photos! This is a terrific image. Love the focus and fall-off. Have a lovely weekend Elina. And thank you for your comments on my latest post. Thank you Aldous! 🙂 I hope you are enjoying your weekend! Sweet indeed. 🙂 Thank you Julie! 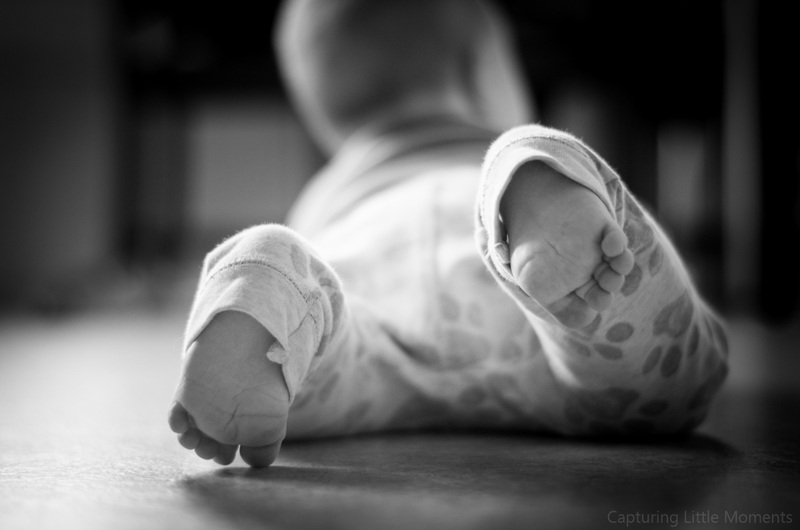 You are right Suzy, there is something really sweet and charming about baby feet… little perfect things that need to be photographed. 🙂 Thank you for a lovely comment! something about a baby’s toes! and I love the perspective on them. Nice photo! and indeed … family and friends are what life is all about! What a spectacular capture of a little child that is so dear to you. You are so great at taking pictures of children at the perfect moments Elina, and I just love your black and white work 🙂 Have a wonderful weekend. They really are. 🙂 Thank you Sharon! A great photo–and too cute for words! it captured the little child’s curiosity and discovery nature perfectly. Thank you very much Joey! 🙂 Thank you for visiting! 🙂 🙂 Glad to see a smile over there! A very cute little boy, now much bigger already. Still cute. 🙂 Thank you very much Alexandra!